North Carolina’s Program of All-Inclusive Care for the Elderly looks to expand into rural areas. State government has applied the brakes. As a rule, we don’t do a lot of bedpan washing for our loved ones these days, not in the Western world. Our most common approach to dealing with the latter stages of aging is to pack away our elders, long before any bedpan washing is required. Often, it’s necessary. But not as often as we’re conditioned to believe. The Program of All-Inclusive Care for the Elderly, or PACE, offers an alternative approach, a community-based one. The first PACE facility opened in 1973. PACE programs now serve approximately 35,000 elders nationwide, about 1,350 in North Carolina. According to Linda Shaw, the Cary-based NC PACE Association‘s executive director, PACE’s participants tend to be frail and generally have multiple diagnoses. Some 95 percent are dual-eligible, meaning they receive both Medicaid and Medicare. More than half of the state’s counties are already experiencing population aging, a demographic shift in which the median age of the population increases significantly due to improved life expectancy and a drastic decline in birth rate. Map progression shows the changing number of people over 65 in each county. The PACE model is now regulated by the federal Centers for Medicare and Medicaid. Participants must meet the Medicaid plan requirements for nursing home services. The PACE model, Shaw said, has proved to minimize costs. But since last year, the state Department of Health and Human Services’ Division of Medical Assistance has placed a cap on new PACE enrollments and a hold on approval of new facilities. This at a time when NC PACE is eager to move into the state’s most rural regions. Shaw is at a loss for why. 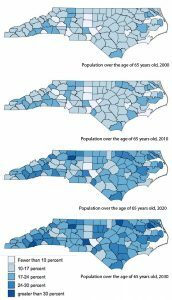 According to the N.C. Center for Public Policy Research, the state’s population aged 65 and older is expected to double from 1.1 million in 2010 to 2.2 million in 2030. Medicaid costs will soar. PACE can help control those costs. PACE, Shaw explained, provides 100 percent medical care, “soup-to-nuts: glasses, dental, the whole shebang, whatever you medically need. PACE operates under a capitation rate set by Mercer, a firm that consults with the state Medicaid program to review services. PACE rates must be lower than those that would be incurred if the person were in a nursing home. What Shaw wants to convey to DMA, and to lawmakers, about PACE is that the state can be assured of what the cost will be. “You don’t have to worry about an increase. It’s going to help you hold down costs now and in the future,” she said. Prior to enrolling potential participants, PACE representatives go into the home to confirm the person will be safe continuing to live there with the support of PACE services and to gain confidence they’ll benefit from enrollment. All 11 PACE sites across the state are licensed adult health centers. Participants come to the center as frequently as they want or require: The average is about two and a half days a week. Most are picked up from their homes by a PACE van. Every participant has an interdisciplinary team that includes a physician, a social worker and physical, occupational or recreational therapists as needed. The team sets, implements and monitors a plan of care. Participants are taken offsite to see specialists or have acute needs met as needed. Then there’s the social dimension. 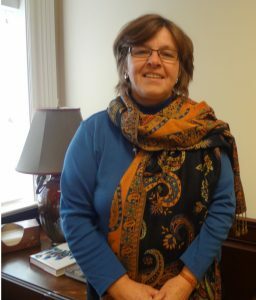 Emily Jones is interim director of PACE@Home in Newton, serving Catawba and parts of Alexander, Burke, Caldwell and Lincoln counties, with plans (on hold) to expand to satellite locations in rural Alexander and Caldwell counties. “We have some who just come to see the doctor and are ready to go home,” Jones said, while other participants come to socialize as well. Tony Mode, 62, of Newton, falls into the latter category. 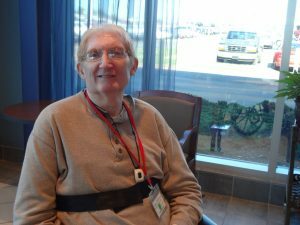 He comes five days a week and enjoys the social and recreational aspects: bocce ball, corn hole, even an occasional game of softball in the oversized lobby of a facility that was once a race car showcase owned by former NASCAR driver Dale Jarrett. We’re living longer than ever in the U.S, but the gap in life expectancy between urban and rural areas is widening. According to the U.S. Health Resources and Services Administration, rural residents are at higher risk of mortality from major chronic conditions and injuries. 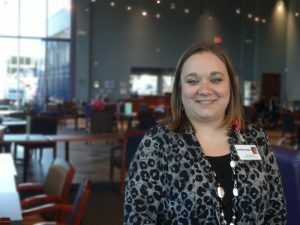 Shaw was thrilled when she learned that Roanoke Chowan Community Health Center andSentara Healthcare wanted to partner to introduce PACE to about a dozen counties in the northeastern corner of the state. They plan to use a hub-and-spoke model to serve a region with many of the state’s lowest-income counties, in which transportation is a particular challenge. Kim Schwartz, Roanoke Chowan Community Health Center’s CEO, said about 60 percent of her clinic’s patients are over the age of 60, and that it’s a real challenge for her seniors to find good options. “They want to stay at home as long as they can, and there aren’t many resources to do that outside of PACE,” she said. That was about three years ago. The proposal hasn’t budged. Likewise, Newton-based not-for-profit United Church Homes & Services, which operates a PACE facility in Lexington called Carolina SeniorCare, would like to provide services in Beaufort, Carteret, Craven and Pamlico counties, south of the area RCCHC-Sentara would serve. United Church Homes & Services’ COO Aimee Reimann said they submitted an application to the state in November 2013 but are still awaiting a response. DMA indicated in a report submitted to the General Assembly in January that there would be no expansion of PACE until fiscal year 2016-17. It then takes, “even in the best circumstances,” Shaw said, 18 months to get a program up and running. In announcing the cap on enrollment last year, DMA officials stated that “the success of the PACE program is encouraging,” but that it’s growing too fast – which stumps Shaw. “It’s a three-way agreement: The feds and the state have to sign off on it; all have to agree for it to happen.” The growth, she said, was planned. Tim Clontz, senior vice president of health services at Cone Health and a member of the National PACE Association board of directors, pointed out in a workshop at the PACE state conference held in Durham in April that many of the most powerful members of the state General Assembly represent rural areas. He urged PACE advocates to reach out to them. With a champion or two in the legislature, PACE might earn a line item in the state budget. Rep. Pat Hurley (R-Asheboro), who chairs the House of Representatives’ Aging Committee, is an enthusiastic proponent of the PACE program in her district, StayWell Senior Care. “It’s a wonderful, wonderful thing,” Hurley said. This story was made possible by a grant from the Winston-Salem Foundation to examine issues in rural health in North Carolina.